​This is a new one. 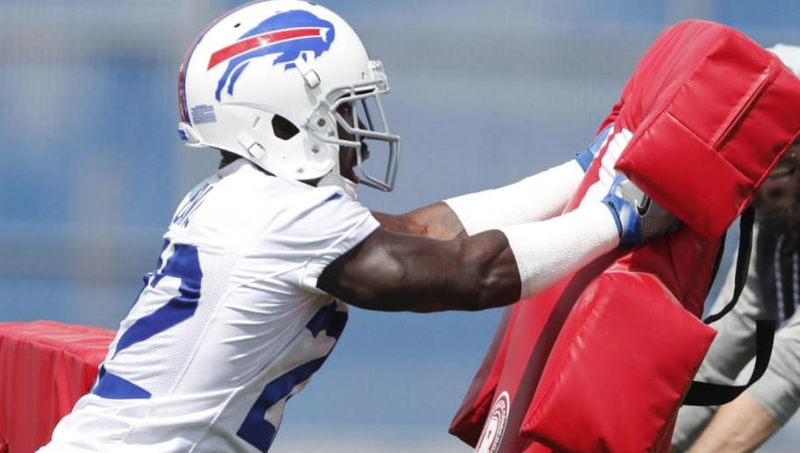 ​30-year-old Bills DB Vontae Davis couldn't even make it halfway through the second game of the season in Buffalo before calling it quits. We don't mean he was tired, he legitimately quit...for good. According to teammate Lorenzo Alexander, Davis retired in the middle of the game. ​Playing for the Bills is that depressing, evidently. Based on how the season is going so far in Buffalo, we can't blame him in the slightest. In fact, we're surprised he's made it this far. Davis is a depth corner at this point in his career in Buffalo. The former All-Pro in Indy is in the first year of his contract with the Bills, and given the current state of things, it looks to be his last. The Bills just have a way of ruining careers. McDermott on Vontae Davis: "He pulled himself out of the game. He told us he was done." Is this Pop Warner football? We've all quit pickup games, or called for the mercy rule, but by the time you reach the highest level of competition you ought to be past this point, no?